A child watches as a U.S. Border Patrol agent searches a fellow Central American migrant after they crossed the border from Mexico on Feb. 01, 2019, in El Paso, Texas. A U.S. Border Patrol agent speaks with Central American immigrants at the U.S.-Mexico border fence on Feb. 01, 2019, in El Paso, Texas. 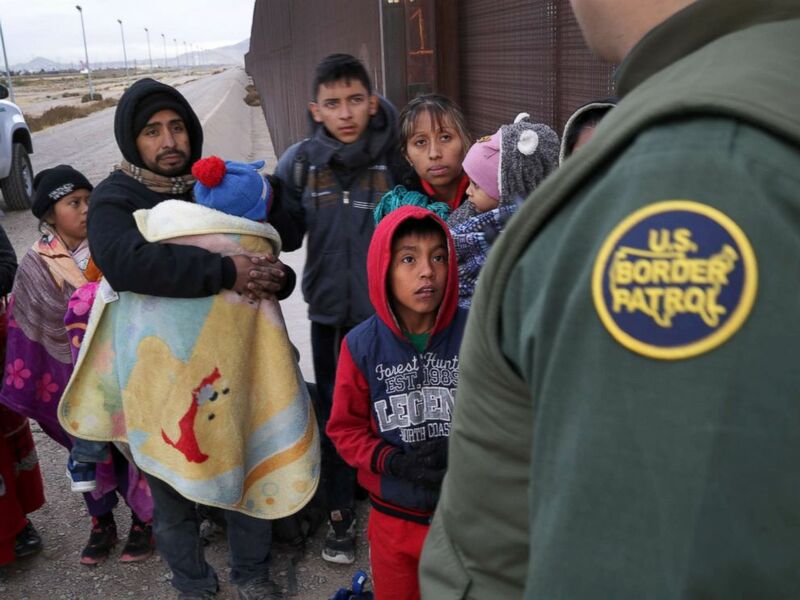 According to the data, most families are showing up at the Rio Grande and El Paso sectors in Texas, followed by the area near Yuma, Arizona. The majority of the families are coming from Guatemala, followed by Honduras.